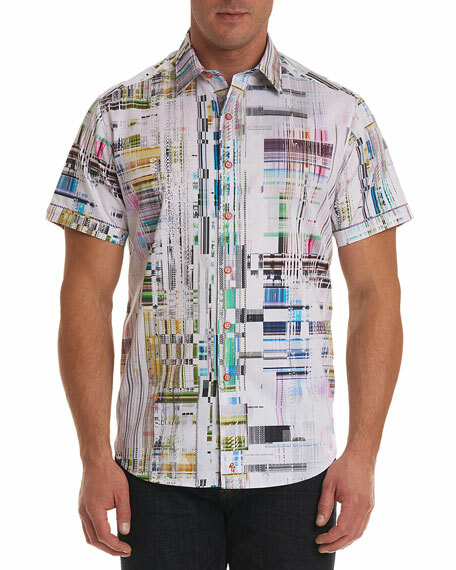 Robert Graham "Paracels" sport shirt in multicolor geometric print. 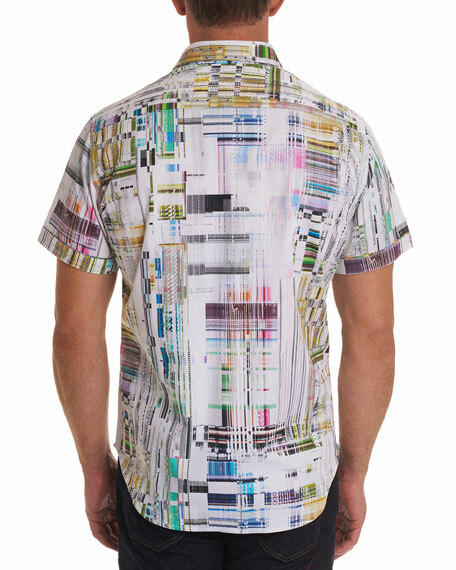 Spread collar and button front with contrast-print facing. For in-store inquiries, use sku #2638530.